In very rare cases, planets can transit in front of another. There are only 7 mutual planetary transits between 1800 and 2100. The next one occurring in 1965 (Being only 8° from the Sun, it will be essentially unobservable.). 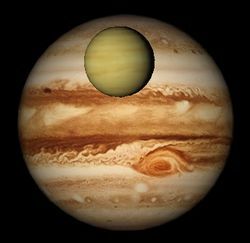 The last one occurred in 1818 (Venus transits Jupiter). A slightly more common event is the transit of Mercury or Venus across the Sun (Venus transit in 2012). Also this is not strictly an occultation but a passage of the planets' discs on the Sun. These are very very rare events but much easier to observe as occuring at a greater elongation frmo the Sun.